We’ve covered a statement from Albert Penello, Microsoft’s Senior Director of Product Management and Planning, a couple days ago. Penello was also featured in an interview published last Friday on MCVUK, where he admitted to being both impressed and surprised by Sony’s PlayStation 4 Pro console. I give them a lot of credit for what they did there. But for me, the most interesting observation is that we both arrived at a similar idea even if the execution is slightly different. This business tends to diverge and converge in interesting ways, and obviously we don’t know what they’re doing. We don’t have insight into what their plans are, so when they announced the Pro, I was as surprised as anybody else was. They had a different idea in mind for what they wanted to build, so in retrospect it may seem like we were reacting to what they were doing. But people in the business know that this has been in the works for years, and we have to lock the specs years in advance. We saw the 4K shift coming. We don’t jump on every technology that comes along, we pretty much skipped 3D if you remember in the 360 era, so we really believe in 4K. We were convinced and we wanted to create a box that was the showcase device for 4K televisions. That was our design. PlayStation 4 Pro launched worldwide on November 10th, 2016, priced at $399. Microsoft’s Xbox One X, on the other hand, is due to release almost a year later, on November 7th, 2017, and priced at $499. 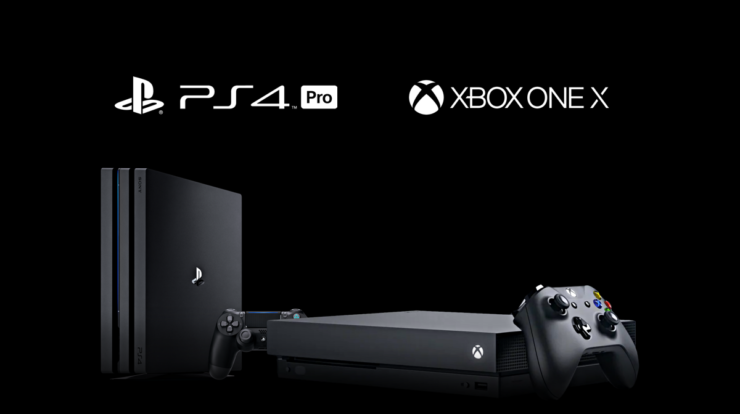 According to analyst Lewis Ward, IDC Research Director for Gaming and VR/AR, the Xbox One X could ship around four million units through the end of 2018 while PlayStation 4 Pro may achieve five million shipments in the same timeframe.